Your child’s bedroom needs to be comfortable, practical and well-designed for them to sleep and enjoy playing in it. When they reach a certain age, your kids may have their own grand ideas and want to redecorate their room. This is good, as it shows ambition and creativity which should be encouraged. Though boundaries do need to be set, and these steps should help you help them decorate in the best way possible. Especially if your son or daughter has a wild imagination, simply asking how they want to decorate their room could lead to all sorts of impractical ideas. Instead provide them with a bit of guidance by offering select choices, such as five different wallpapers to pick between. This way you should end up with a nicely decorated room where they have made most of the main design choices without it going overboard. Children can change their minds quickly, one minute wanting a pirate themed room, the next a football one, so offering a middle ground should reduce the chance of this. When you’ve got a plan for the decorating, you’ll need to buy all the equipment. From wallpaper, carpet and rugs to paint and any new furniture, this shouldn’t get too expensive if the options you offered remained within your budget. Remember to pick up some paint brushes and tarps for spreading over the carpet so it doesn’t get paint splashed on it. Most children can be somewhat careless, especially where messy things like paint are involved. Much like with the decorating plans, let your child lead the way if they wish but provide a helping hand by guiding them. For example, if they want to rip out the carpet first, point out that it makes sense to paint the walls before doing so as this way it’s the old carpet which will get dirty. For more intricate tasks and dealing with any tools for building furniture, you should of course take charge. One of the main ways decorating a child’s room differs is in the little details that aren’t often done in other bedrooms. Adding sticker decals on the windows or furniture that are some of their favourite cartoon characters can be a nice touch, for example. The same is true for any glow in the dark stickers or adding little touches such as using a stencil to paint on some flowers above the skirting board. With decals the main benefit is you should be able to remove them easily at a later date. If they want to dress up like painters, let them. Whether it’s wearing a beret or in full overalls, the more fun you can make the experience for your child and you, the quicker it will feel the decorating process is going. Stick on some music, turn it into a game by awarding whoever can paint a wall quicker with a prize or anything else that will help them fall in love with decorating. 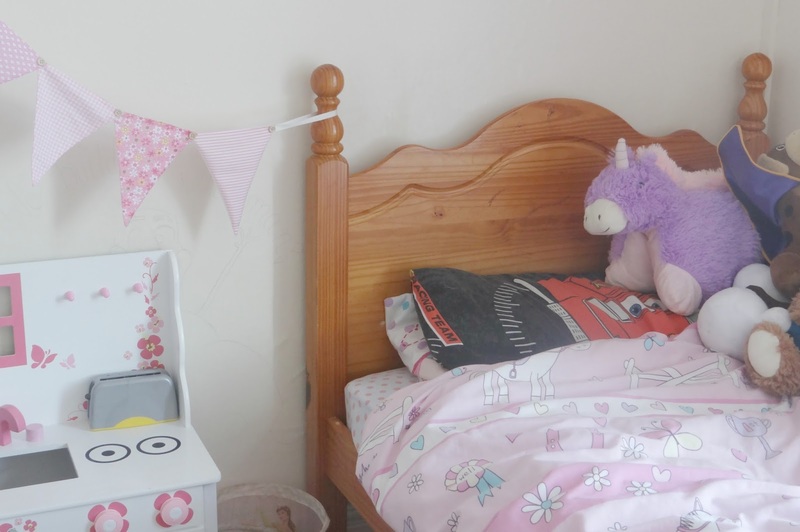 It doesn’t have to be a chore decorating your child’s bedroom. Simply get them involved and you can have a fun family day or two and get an important task done.